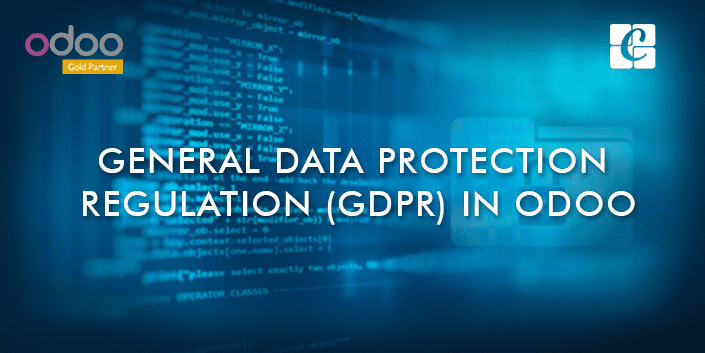 GDPR stand for the General Data Protection Regulation. The European Union Parliament passed GDPR on the 14th April 2016. Soon GDPR will get into effect by 25th May 2018. So it is time for all the service providers to get ready for implementing GDPR in their system. The risk of not implementing the GDPR in your system is 20 million euros or 4% of your global annual turnover. Therefore, it is the right time to know what are the benefits that can be drawn from GDPR among the end users. In every ERP system, the GDPR will have a great role to play especially in CRM section, where there are a lot of customer data stored. Every organization needs to look individually at how GDPR affects their system and their data systems. Here’s how GDPR will affect most ERP system. If customer demands to remove data from company systems, this data must be easily available and accessible. Complying with GDPR, it will require better customer data visibility within the systems so that all data is found and removed from the end user requests. Secondly, the GDPR affects ERP system in the need of clear understanding of data flows. Where is customer data going, and where it is stored? ERP systems will have to adjust and make it easy for EU citizens to access their data within a company and request deletion. 4. percent of worldwide turnover. In general, Odoo is not GDPR compliant for everything. For example one of the rules of GDPR is that when your end user asks you what data you store from them and why that you should be able to answer this. At the moment there is no way in the default Odoo to get this out unless you start filtering and exporting manually. Odoo has recently posted a comprehensive article about GDPR and Odoo on their official website. It covers a lot of topics, including what you need to know about GDPR, how you should prepare, how Odoo SA is preparing, and how Odoo (the software) can help you with privacy best practices.